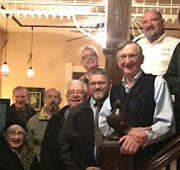 West Virginia Rivers Coalition and three WV Choose Clean Water Coalition members hosted WV House Majority Leader Daryl Cowles at a holiday reception in Berkley Springs, December 15. Leaders from Sleepy Creek Watershed Association, Warm Springs Watershed Association and Cacapon Institute welcomed Mr. Cowles to spend the evening learning about watershed restoration and protection efforts in the state’s Eastern Panhandle. 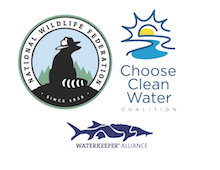 Watershed groups also described the importance of upholding current “Category A” protections in the upcoming legislative session, and expressed concerns about a proposed natural gas service line that would run from the Potomac River through three Eastern Panhandle Counties. Mr. Cowles then facilitated a dialogue about clean water and local economic development issues — including the tourism economy. Following the reception, Mr. Cowles volunteered to host Eastern Panhandle clean water advocates at the State House for a meeting with the region’s senators and delegates.